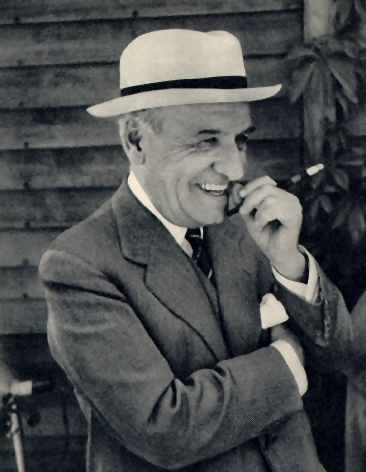 Contrary to a tradition of "intellectualism" in the West, Jose Ortega y Gasset, one of the most insightful social philosophers of the 20th Century, proposed that we're not best defined by our capacity "to know" but by our capacity to not know, our capacity for ignorance. Not knowing sparks active, adaptive ways of being, it stimulates practical thinking and a quality of mind that makes a difference in the world. Ortega's challenge to intellectualism was not an endorsement of mere doing or rote activity. When he characterized thought, he did so in recognition that thoughts are more than bare, logical concepts. Thought in its full reality includes feeling tones, intuition, reflective pauses, and moral considerations of what is good, right, proper. It's not just activity; it asserts our agency. It's "vital reason." Ortega was an eminently practical philosopher and citizen. Beyond being an esteemed scholar and thoroughly engaged with the best minds of his time throughout Europe, he was actively engaged in promoting a free republican form of government in Spain. He served in Parliament and lived in exile after the civil war. During his life, he witnessed the effects of Fascism and the way it relied on fanning flames of fear, ressentiment, and anger rather than encouraging optimism, hope, and freedom. He and his philosophy emphasize the potential of the human spirit. Unlike some who were wont to see history as an inevitable forward movement of progress, Ortega believed cultural virtues and historic achievements are earned. And they must be earned afresh in each generation, for we are always at risk of losing them. The perennial task of civilization is aided by the traditions and institutions we create and sustain from one generation to the next. But this, too, is an active responsibility. It doesn’t just happen. Consider just how timeless and relevant these thoughts are in our present age. They are not only applicable to the social and political arena, they're relevant to our organizational endeavors in for-profit and not-for-profit enterprises. Missions must be lived out through action to be realized. Leadership careers, too, must be lived and actualized in action. We have a fresh opportunity to make a difference each day as citizens, as workers, and as leaders. And we are not alone. We pursue our work along with relationships of love and friendship. And when our time has come - the end of a career or life - we can relish the joy of our relationships and know that we've left the world a better place. And there are other transcendent, spiritual considerations, including our diverse religious beliefs as a people, which may add still more to our personal experience of this drama of human life and history. And the great thing is that we can all pursue those pathways too, even as we align with a common vision of life and virtue in the secular realm of a historically constructed social and political world. The way we choose to live is up to us. But as Seneca, the Ancient Roman philosopher suggests, we can seek the counsel of the luminaries and voices of the past - like Plato, St. Augustine, or Ortega y Gasset - as we reflect on life's meaning and possibilities. Unlike other friends, they are there when we want them, available to us no matter what we're wearing or how we might be feeling. And they're happy to be heard not just once but as frequently as you wish. So, we may pursue our philosophy of life with freedom and independence, but also in the company of endlessly stimulating conversations.